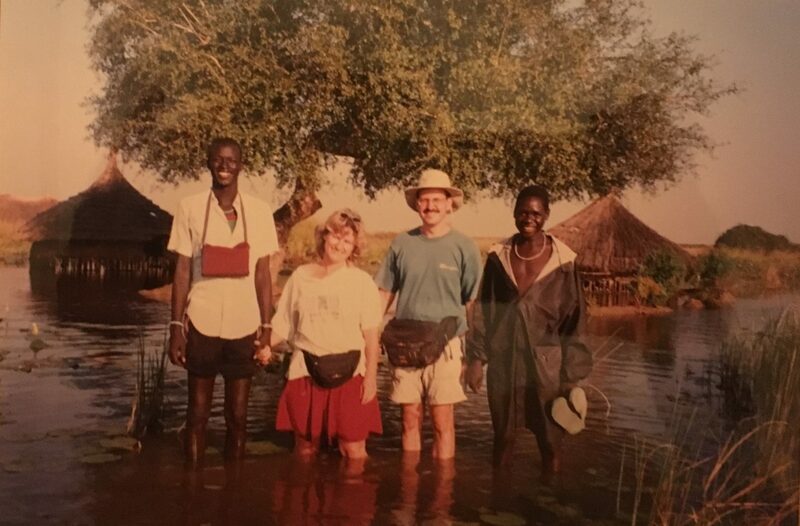 My recent visit to South Sudan and a reunion 22 years in the making. Southern Sudan was where I first started my career in humanitarian aid. I was working with a Medair team to bring emergency relief to affected communities when I first met Anuol. More than 20 years later, I was recently able to return to South Sudan to visit our projects and was overjoyed at the chance to reunite with Anuol after all these years. I believe humanitarian work is and should be all about people, which is why I enjoy meeting and hearing the stories of the people we serve. However, rarely do I get to hear their full life stories. That is why it was so special to reconnect with Anuol during my visit. From our first meeting more than 20 years ago, Anuol left a strong impression on me. He showed an extraordinary eagerness to learn and, despite his young age, had a strong sense for justice. Even as a child, Anuol had already learned that life doesn’t play fair. Growing up, he lived with his family in a remote part of South Sudan. When conflict broke out, soldiers stormed through his village. His best friends were killed in front of him. Anuol was lucky to have escaped the violence, but life continued to be a daily struggle for survival. He remembers having nothing to eat and no medical care when he or his family members fell ill. Sadly, he lost five relatives as a result. Medair staff members shown visiting people in Anuol’s village many years ago. After the attack on his village, Anuol says his mother gave him a pen. She strongly believed in the power of education and wanted him to go to school. He tells me how one of the Medair team members saw his desire to learn and devoted her evenings to teaching him English and mathematics. He was making great advancements when the security situation deteriorated again and he was forced to leave the country. He ended up in Kakuma – a refugee camp in Kenya. A few Medair staff continued to support him so he could finish his education in Kenya. 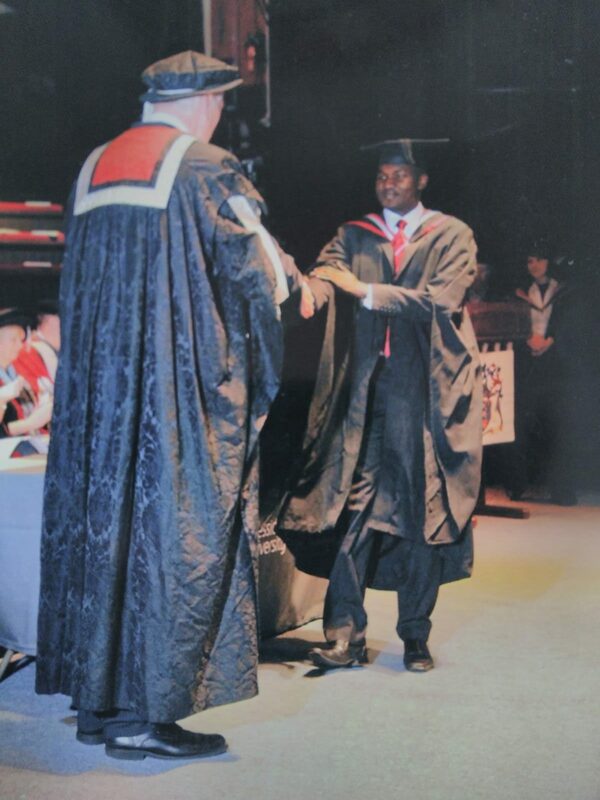 After graduating from high school, Anuol left for the United Kingdom to study law. Anuol knew from a young age he was meant to become a lawyer. He wanted to contribute to a reliable and fair justice system in South Sudan. Anuol first worked as a lawyer in the United Kingdom and then for the Appeals Chambers for the International Criminal Court Tribunal for Rwanda in The Hague before deciding to return to South Sudan with the knowledge and experience he had acquired abroad. He says it was to help those who didn’t have the opportunities he had and, in part, his way of saying thank you to all who had supported him over the years. Anuol understands. In the end, it’s all about people. He could have stayed in the comfort of his life in Europe, but he chose to take his opportunity and use it to help build a better future for his fellow South Sudanese. We must always remember as humanitarians that our work is about much more than the delivery of supplies and services. It’s about walking alongside people as they get back on their feet and helping them have hope for the future. It’s about investing in people because we never know what positive impact they may have on their communities. “Live simple, aim high, believe in God, and hope for the future.” That’s Anuol’s life motto, he tells me. I think those are words we can all live by.